Click on the description text to view the Ground Defence photographs. 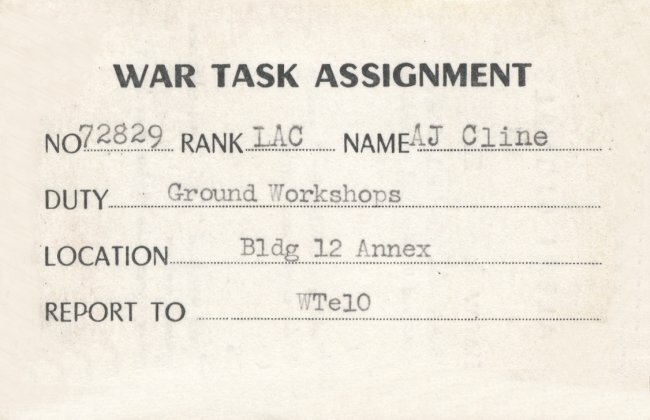 Front of War Task Assignment card - January 1964. 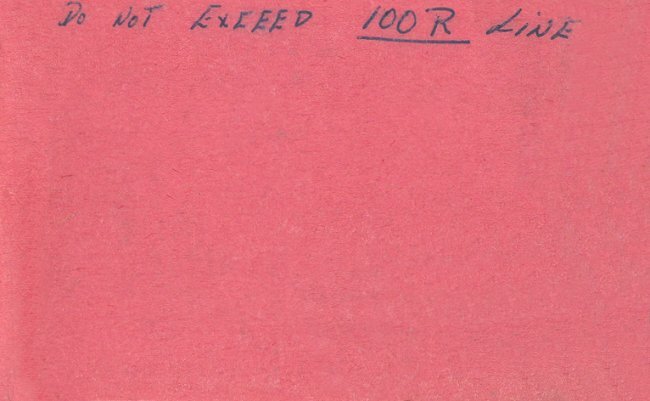 Back of War Task Assignment card - January 1964. Nuclear Defence personnel - December 1960. 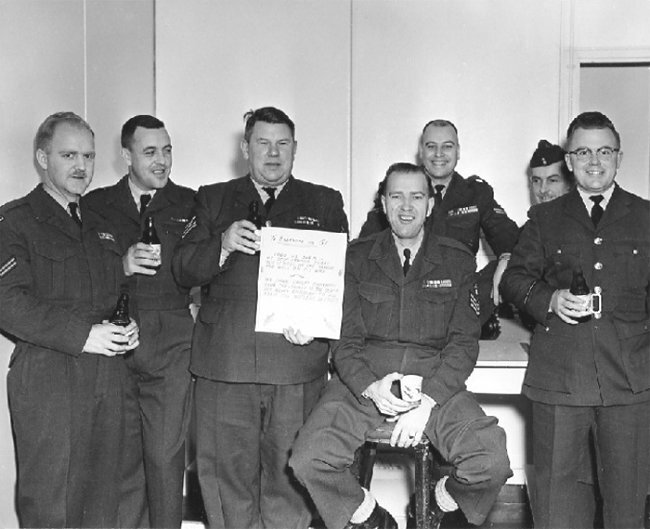 (L-R) Jim Ward, Wally Bernas, Sgt Keegwin, ARP Golding, Ken McOrmond, Fletcher (wearing wedgie) and an unidentified F/O. 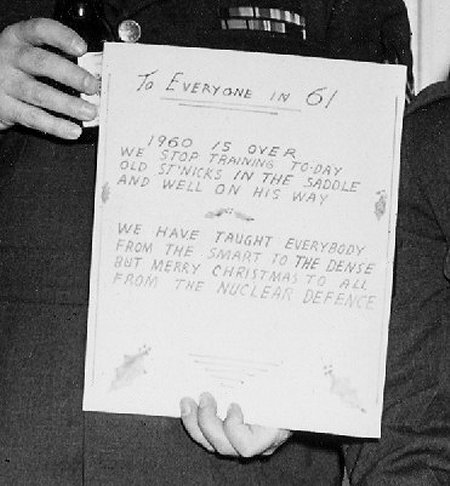 Nuclear Defence "Christmas Greetings" - December 1960. 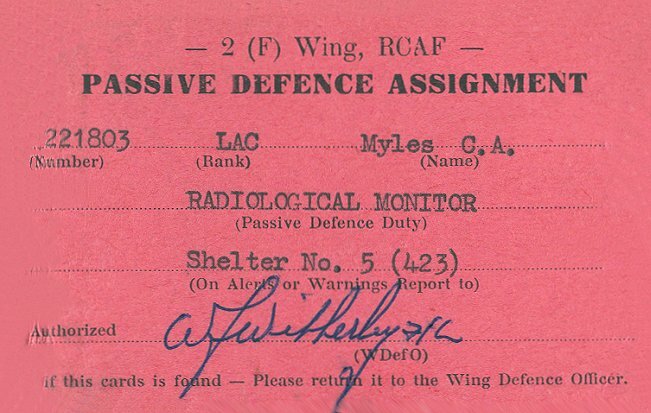 Front of Passive Defence Assignment card - December 1957. 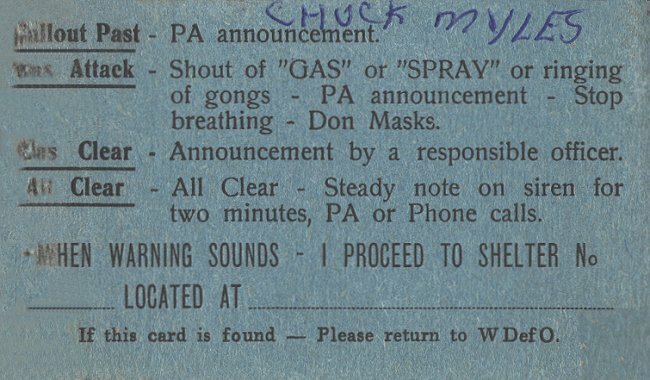 Back of Passive Defence Assignment card - December 1957. 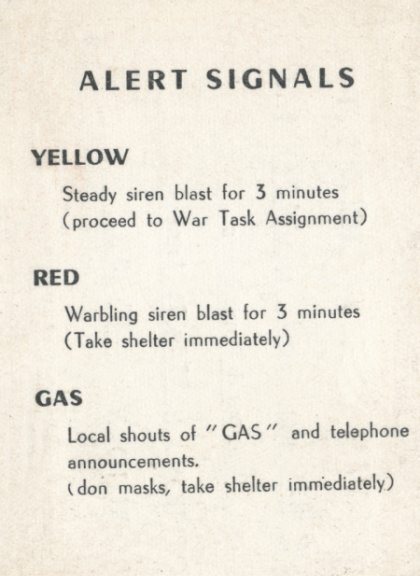 Front of Defence Warning System card - December 1957. 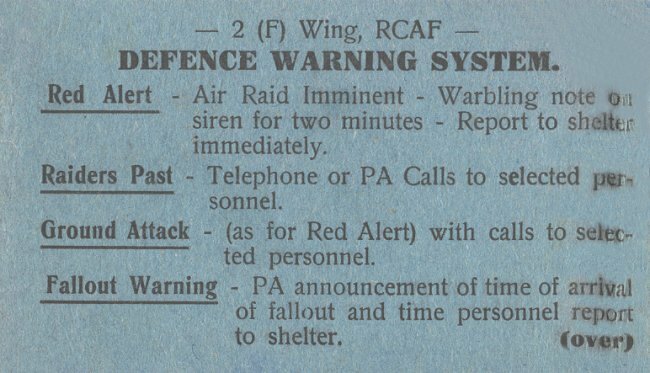 Back of Defence Warning System card - December 1957. 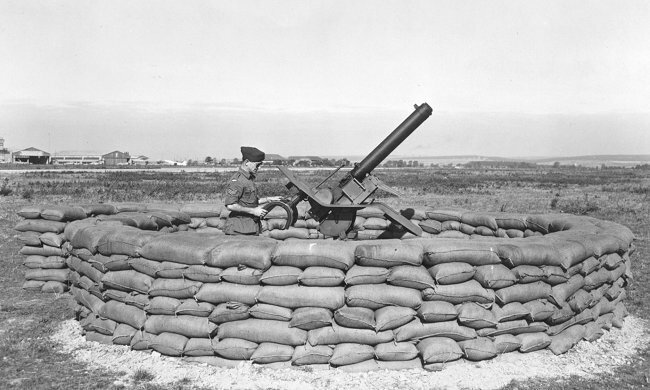 Jacques Nadeau doing an inspection of the ground defence equipment. This is a twin 50mm machine gun that was water cooled - June 1954. 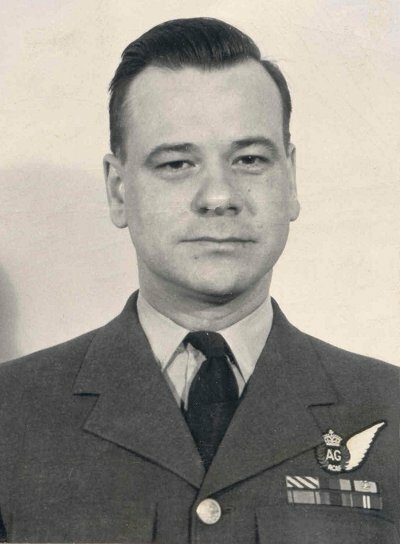 Sgt Lapierre was a Ground Defence instructor - October 1953. 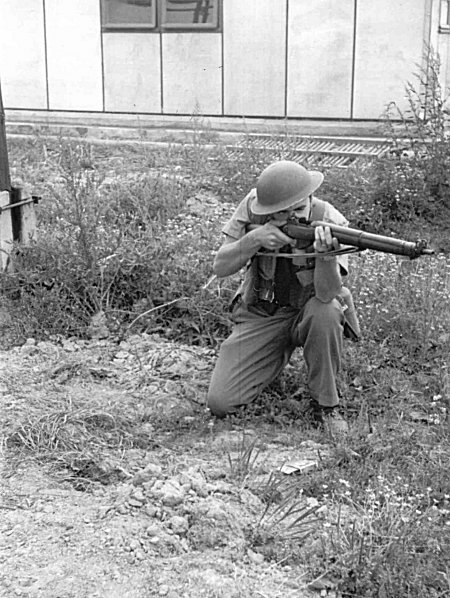 LAC Jean-Guy Choquette practices Ground Defence at 2 Wing Grostenquin - July 1953. Jean-Guy is the dispersal and perimeter guard who took a shot at the intruders in one of our Believe It Or Not stories. 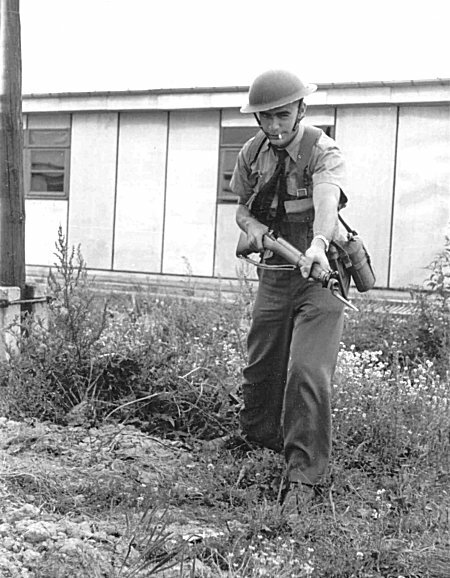 LAC Jean-Guy Choquette practices Ground Defence at 2 Wing - July 1953. 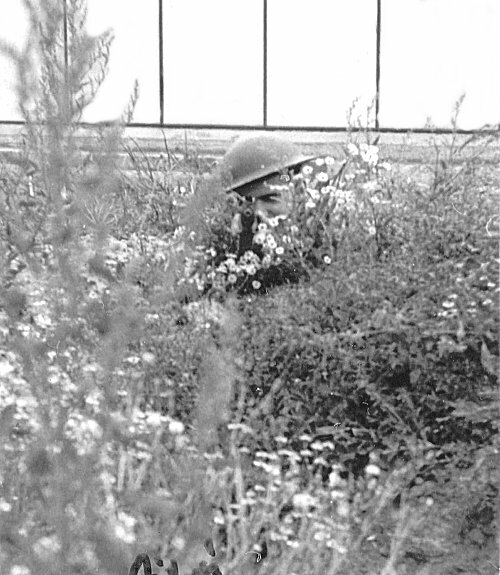 LAC Jean-Guy Choquette in Ground Defence camouflage at 2 Wing - July 1953. Click on the description text to view the Wing Photo Section photographs. 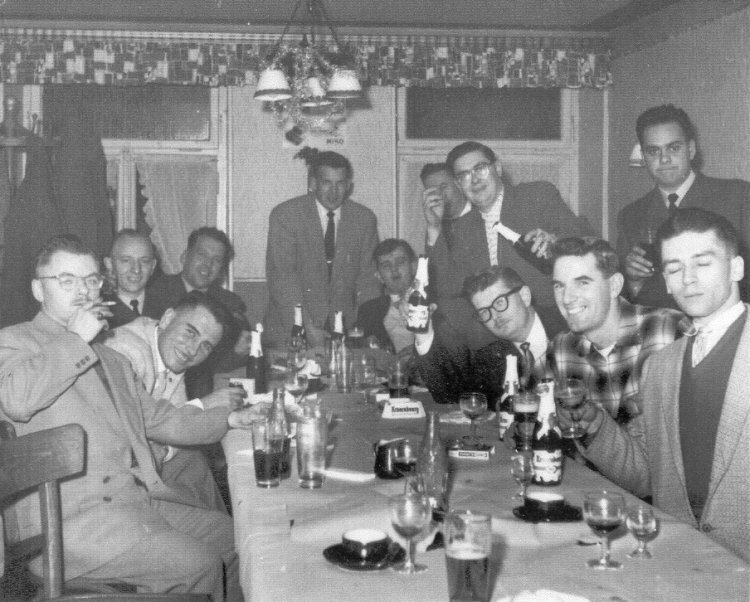 Photo Section party in a local French "Watering Hole" - December 1960. (L-R) LAC Roy Smalley, Cpl Bush O'Bear (leaning), Cpl Bill Newman, Cpl Paul Verville, Cpl Ted Parks (standing), LAC Don Piercey, Sgt Ted Hackett (hidden by LAC Dave Spearing), LAC Bruce Walls (being baptized), LAC Chuck Atwood, LAC Ray Latulip (standing), LAC Vic Cousineau. 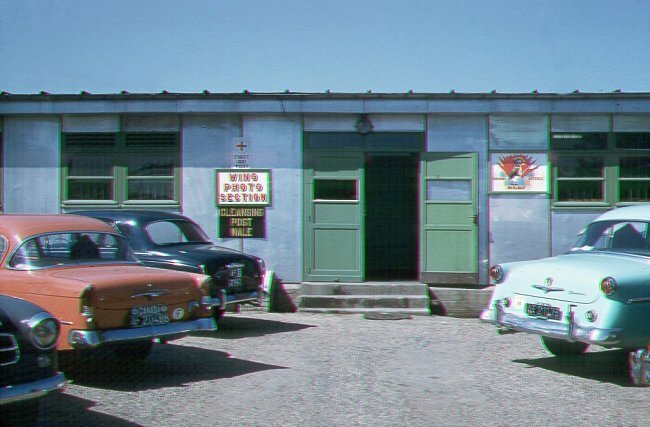 Front entrance to the Wing Photo Section - April 1959. 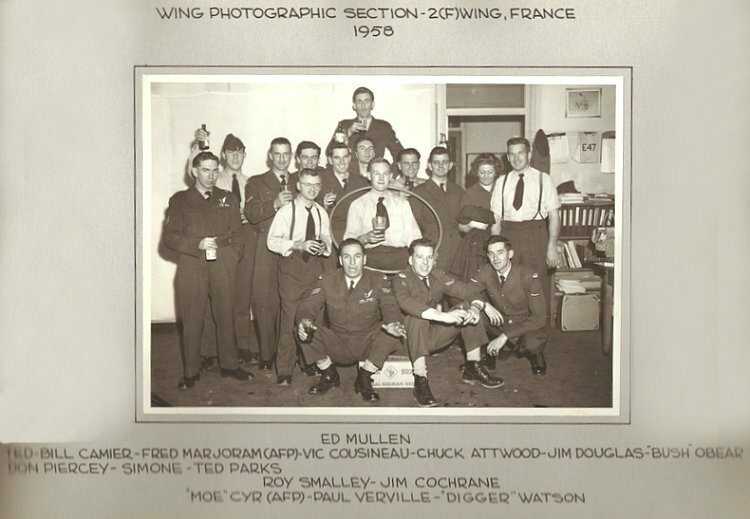 Wing Photo Christmas Party (includes a collection of AFPs and Photo Techs) - December 1958.